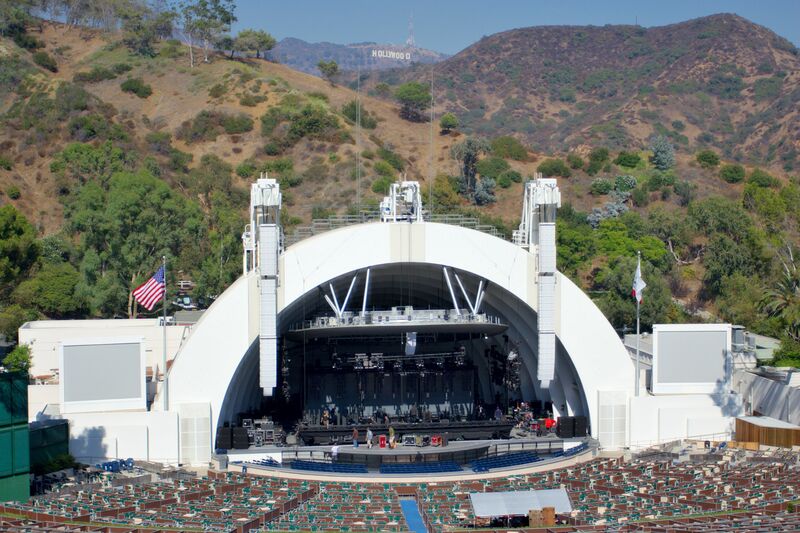 The Hollywood Bowl is an outdoor amphitheater located in Hollywood. During the spring/summer season, patrons can enjoy orchestrated music in the Hollywood Hills facing the famous Hollywood Sign. The Hollywood Bowl has had some incredible and historic performances and is still an iconic part of Hollywood. This beautiful outdoor venue takes advantage of the beautiful weather in Los Angeles. It is has flexible food and beverage policy which makes for a memorable experience. Getting in and out of Hollywood Bowl traffic can be a hassle. Use EVX Limos to get you to your venue in a safe and reliable mode of ground transportation. Your chauffeur will pick you up from your origin to the The Hollywood Bowl and return to pick you up at a pre-arranged location at the desired pickup time. Point-to-point rates apply to only Sedan and SUVs. If you are running late or want to leave early, call our reservation team to change the pickup time at (844)266-5389. Your chauffeur will pick you up from your origin and take you to the Hollywood Bowl and wait for you until you are ready to return to your origin. If the event takes longer than expected no need to call our office, once you are ready to leave call the chauffeur and he will meet you at the designated pickup location.